If you are located in the state of New Jersey and you think you could benefit from the use of medical marijuana then you have come to the right place. 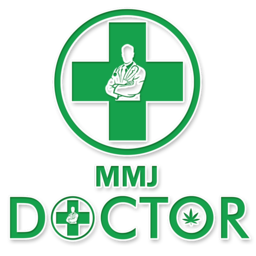 This article will cover what type of conditions and ailments qualify for a medicinal marijuana program, how to find a medical marijuana doctor, current New Jersey dispensary options and what to expect throughout the process. The first step in obtaining medical marijuana is to know if you even qualify for it. There are a lot of conditions and ailments that qualify a person for the NJ Medicinal Marijuana Program. These disorders and diseases include post-traumatic stress disorder, Lou Gehrig’s disease or ALS, multiple sclerosis, muscular dystrophy, Crohn’s disease, cancer or other terminal illnesses, musculoskeletal disorders that cause pain, anxiety, migraines, chronic pain, and Tourette’s syndrome. Other conditions that would qualify a person are epilepsy, seizures, intractable skeletal muscular spasticity, and glaucoma. However for these conditions to qualify you must have tried other treatment plans and failed. Other conditions like HIV, aids, and cancer will be approved if it causes severe pain, vomiting or nausea, wasting syndrome, or cachexia. After the medical marijuana doctor determines that you have one of the conditions that qualify you for the medicinal marijuana program the next step is to set up a treatment plan. Your doctor will give his recommendation for the dispensary that he thinks is best for your plan. As of right now there are six approved dispensaries in the state of New Jersey. They are Compassionate Care Foundation located in Egg Harbor, Breakwater Treatment and Wellness located in Cranbury, Compassionate Sciences located in Bellmawr, Greenleaf Compassion Center located in Montclair, Garden State Dispensary located in Woodbridge, and Harmony Foundation located in Secaucus. If you are looking to take the next step and do not know where to begin contact Doctor Allan Tiedrich, MD, at Doctor THC. He is registered with the New Jersey Department of Health Medicinal Marijuana Program. If you have tried conventional therapy and your conditions have not gotten better then Doctor THC will be able to help you. When you meet with Dr. Allan Tiedrich he will do an evaluation of your symptoms and first decide if you qualify for the NJ Medicinal Marijuana Program. If and when he approves your condition then he will suggest one of the dispensaries for you. The six dispensaries that are approved for medicinal marijuana in the state of New Jersey will have a lot of options to choose from. They have over one hundred different types of strains so you will have no problem finding one that works best for your condition. Each strain will give a different benefit. Some strains help with seizures while other strains help with the vomiting. No matter what your condition is there will be a strain that can help you. At the end of the day, Dr. Allan Tiedrich will help you feel like yourself again. He will find the source of your disability or pain. If your condition qualifies then you will start to feel better.